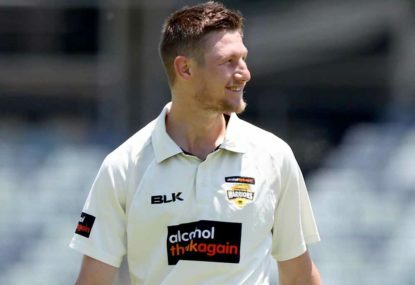 It might have been the best state of mind Cameron Bancroft has experienced for some time. 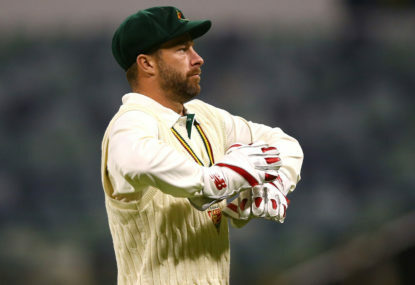 On Sunday, Cricket Australia revealed their team of the tournament for the Sheffield Shield season, which reaches its climax with the final, between Queensland and Tasmania, commencing on Friday. 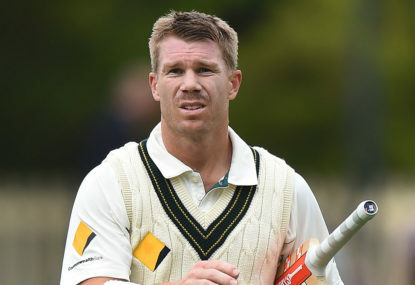 David Warner’s struggles in the sub-continent have been talked about at length here by Roarers, and with Australia now holding the leverage and a genuine chance to win a rare series in India, it is time for the vice-captain to contribute more heavily. I don’t want this to come out the wrong way, because I happen to love the Big Bash, but does anybody else find it tiring, night after night? That it’s perhaps a little bit draining, and all too consuming to keep track of? One spot could come down to S.Marsh v Handscomb, and I feel like Marsh might be unlucky, despite an incredible 12 months in the ODI team. In any case, whoever misses out will be super unlucky. Exactly, I wouldn’t even prioritize Smith for the WC like I would Warner. 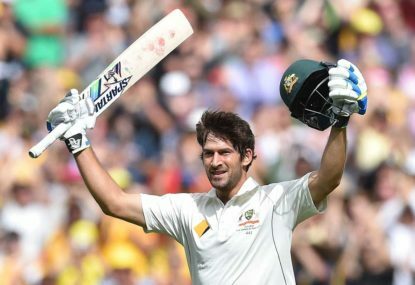 I just don’t feel he’s integral to winning the WC however obviously the most important man for Australia’s Ashes chances. 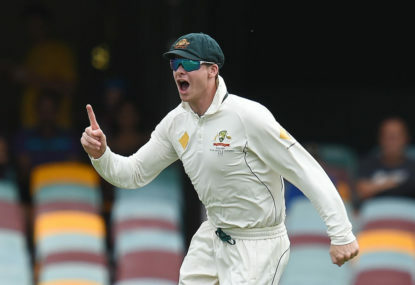 I would think exposure to the red ball instead would be the best preparation for Smith. He is the man for mine. Exceptional accuracy and control – across his whole FC career – but particularly the last few seasons. His numbers this season are unbelievable. I think Aus can only afford one of these wildcard type bowler selections in the squad, and Copeland could be a handful in the right conditions. I’d need to go and find this mate, but before anything, worth remembering it was in September/October so mightn’t mean as much now. And I think you end up with a more complete package when M.Marsh is bowling in full flight too. 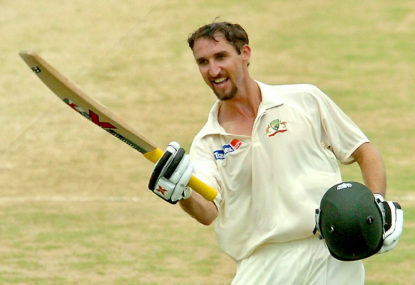 Like his brother, many confuse a poor trot at test level with a solid ODI record. Not saying he’s the answer, but Stoinis may not be either. Terrific post – perspective. It can’t happen every single time, but when it does, it wins matches in a canter. I think the more time Stoinis has to work into an innings, the better. So as a consequence, the higher he bats the better. If they need to shuffle around the order for this, it probably needs to happen now in preparation. This is exactly what I agree Australia need to be careful of. Going hard at the English with all-out pace, in an attempt to blast them out, probably won’t work – it didn’t in 2015. 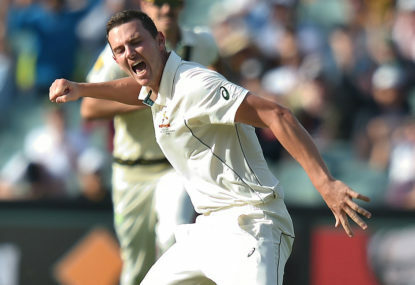 The single fifth test Siddle played, he was superb, offering accuracy and control. 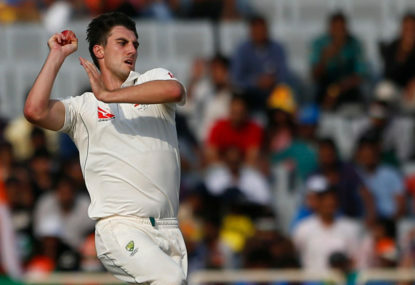 In which case you probably wouldn’t want to see more than two of Starc, Cummins, Hazlewood or Pattinson in the attack, instead leaving a place for a skillful, slower bowler (who can swing it, of course) that suits the conditions. Would love to see at least one of the Copeland/Worrall/Tremain etc types at least in the squad. 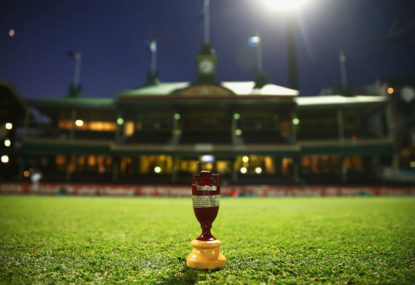 I hope to see one wildcard type quick taken on the Ashes tour, even if just backup in the squad. 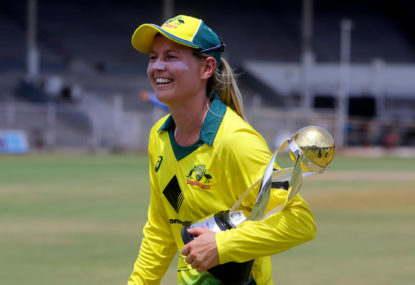 Someone who has earned it through Shield performances, and suited to the conditions – like Copeland, Bird, Sayers, Tremain or even a Winter/Worrall. In other Shield news, Scott Boland named player of the tournament, with Victorians dominating the top five. Fair play to him, a lot of bowlers performed brilliantly across the season. I agree Chris we are probably too far down the path to be trialing that now, even if Handscomb is presumably more than capable, and the temptation of more strike power. There has been a clear intention to have Carey behind the stumps for the WC for some time now. Hope they do too! Will they, though? Most likely not as most of us would suspect…not only is Carey the VC (I am still puzzled by that) but they clearly want him in the side. He has performed better at 7 than I thought however, but still doesn’t maximise the potential hitting power. 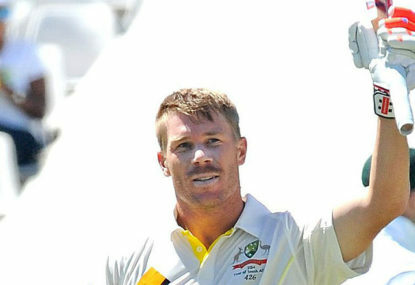 Warner has the destructive capability of scoring quickly anywhere in the top seven for mine. With all his experience coming as an opener, I think this situation is set up for him at 3, and I’d like to see him there. 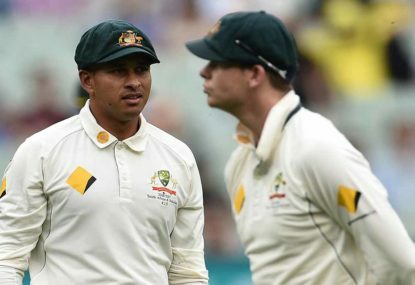 Khawaja must open, and his pairing with Finch is gaining momentum. Yeah Finch or Warner at 3 now for mine, because the former is now locked in, and the latter should be with his blistering ODI record as Ronan mentions. 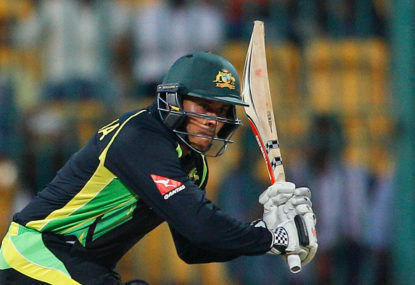 Australia seem more adept at chasing at the moment, and in a better position mentally. Perhaps a tactic that could be employed as much as possible at the WC? And usually taking a while to build into his innings too; which is fine, but does suggest perhaps the higher up the order he bats, the better. Won’t be losing sleep over it, but struggle to identify any actual ‘need’ for this. Tradition and sacredness don’t seem to matter now, anyway. I particularly like the batsmen/all-rounders you have excluded. While I could see some from that group being selected, I agree they are undeserving, and far less worthy than any of the incumbents, or Wade and Maxwell. A great sign if swing bowlers with brilliant Shield records and form like Tremain, Bird and Sayers are just missing out, even though they’d all be very unlucky. There is some considerable depth at the moment there. Random Shield update as the last round commences; Pattinson wreaking havoc in the morning session against SA; boy is this nice to see again. Bancroft missing out at the WACA and yet another half-century for Dan Hughes as NSW start well after being sent in. It seems that teams generally might want two spinners in the UK for the WC. 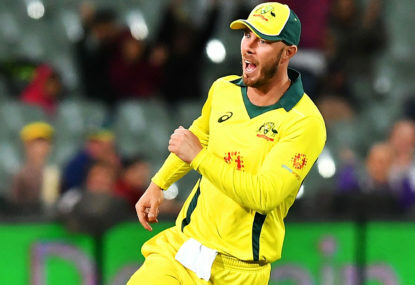 I think there’s little doubt Zampa is the first choice white-ball spinner, and given the job Maxwell did as the sole spinner at times in the 2015 WC triumph, I would’ve thought that pair would be enough. The points a few have made about missing Agar is critical too I think, because his inclusion would add depth to all areas if not for his injury troubles. Nah, I wouldn’t say fifties are the metric at all. That was Wade I was referring to, and I appreciate your correction re: that 57 he scored in India. I suspect what has also kept selectors cautious about re-calling Wade is whether he will correlate the dominant form to test level, given he is 31, with an average of 28 from 22 tests. I don’t particularly agree with it, given we are witnessing the guy in the form of his life, but it might be a reason for their desire to look elsewhere at younger options as pure batsmen. Yes. Nevill did little wrong behind the stumps, yet couldn’t produce more of the fighting knocks with the bat which he did on occassions. Wade was 100% re-called initially for the ‘mongrel’ he supposedly brought; perhaps Smith preferred standing beside it as opposed to Nevill. 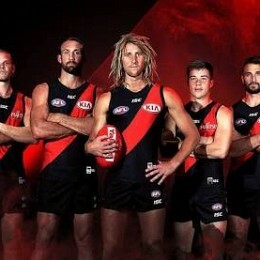 Either way, mongrel they claimed it was, but in reality nothing but boorish behaviour. The fact he didn’t pass 50 in his last 17? 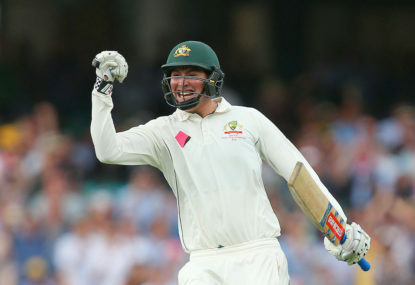 test innings (off the top of my head) is what hindered his chances most. Great read. Any arguments citing ‘Entertainment’ as a reason for such changes, clearly aren’t coming from purists. 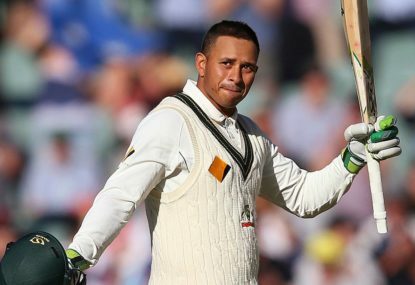 Test cricket is uniquely entertaining in it’s own gruelling way, and those seeking a quick-fix, rapid form of entertainment have already been blessed with other formats which provide that. The thing is, I actually don’t mind the changes in isolation; your comment re: the over rates and ways to address it, are on the money for mine. Teams dragging through only 75-80 overs in a day has been allowed to happen for too long now, and incorrectly policed.